Audience members will be standing and walking throughout the theater amidst intermittent strobe lights while a scientist’s experiments of implanting human glands into the bodies of animals prove overly successful, in a new production of the opera, Heart of a Dog. An original work by composer and Guerilla Opera’s Artistic Director Rudolf Rojahn, it is being presented by the Guerillas at The Boston Conservatory’s Zack Box Theater, 8 The Fenway. Adapted from Mikhail Bulgakov’s novella of the same name, composer Rudolf Rojahn’s dark comedy is re-imagined in a stylized new production by director Copeland Woodruff, two-time winner of the National Opera Association Best Production Award. “I’d long been a fan of Bulgakov’s fiction so when I began thinking about writing a short opera in 2007 Heart of a Dog seemed like it could be a perfect fit. Everything from the surreal nature of the drama to the small cast of characters to the self-contained environment seemed custom tailored, not just to my compositional aesthetic, but also to the limited resources with which the production would be put on. The piece came out in a creative rage of less than two months and when I listen to it now, three years later, I can hear the raw and crunchy sonoric exuberance of a younger version of myself. I wanted to tear down the performance space with massive walls of sound while four tragic puppets acted out their black comedy,” explained Mr. Rojahn. 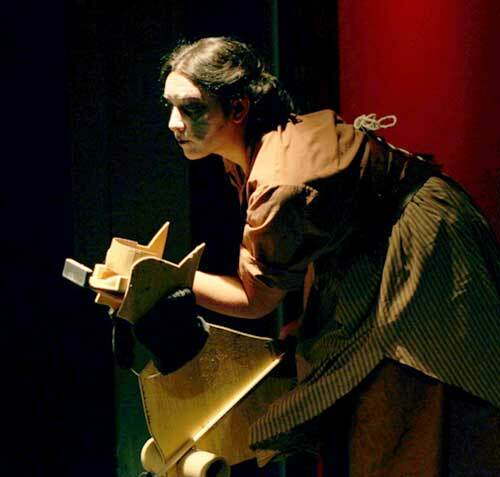 Heart of a Dog was Guerilla Opera’s first staged production, premiered on September 21, 2007 to a sold-out house in The Zack Box Theater of The Boston Conservatory, which led to an invitation for Ensemble-in-Residence status at the Conservatory. A traveling carnival sideshow using Bunraku puppets tells the story of the scientist who lures a dog into his apartment and performs a successful transplant into a half-dog/half-woman. The scientist, his assistant, and the housekeeper have their hands full with their test subject, and the manipulations prove disastrous for all. In addition to the three (or four) cast members is an ensemble of violin, cello, saxophone, and percussion. After each performance, which runs from September 16 through 26, audience members will meet the composer, director, cast and ensemble. For the final performance, Guerilla Opera will hold a VIP Reception at the Sheraton Boston to celebrate the closing night of the first show of the 2010-2011 season. Tickets are $15 general admission, $10 for seniors, and free to students with valid ID. Tickets can be purchased directly from The Boston Conservatory Box Office online at http://bostonconservatory.ticketforce.com or by phone at 617-912-9222.